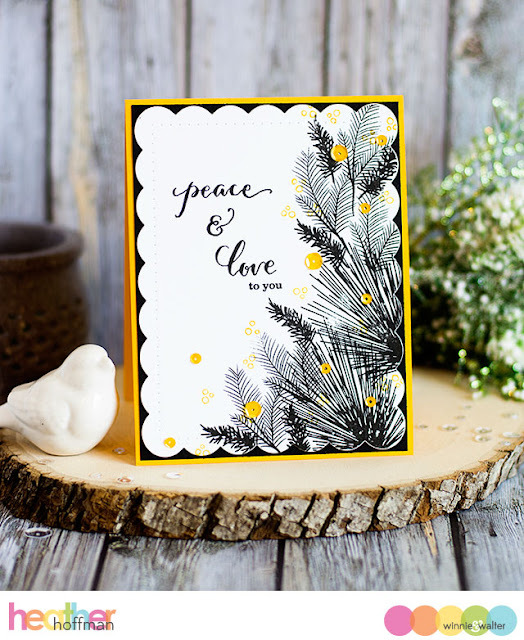 I used some of the greenery from In Bloom: Elsa's Flora, stamped in black on a white scallop frame cut with Essentials: Noelle Cutaways. 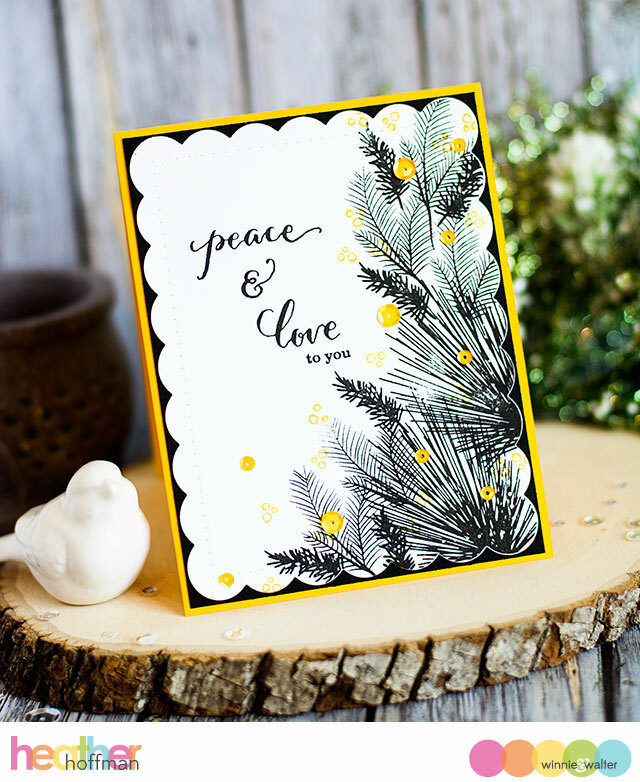 Sentiment was built with Happiest of Holidays with Evelyn T Designs, and I also added some of the little yellow berry clusters from that set. Finished off with a few sequins, a black mat, and a coordinating yellow card base! Can't wait to see how this image inspires you! Have a wonderful day! This is so elegant! I'll have to think about this one. Such a gorgeous color combo and Heather's card is amazing. Can't wait to try! Such a wonderful colour combo and overall design! Oh, this is a seriously beautiful card in one of my very favourite colour combinations! I'm swooning! What a great inspiration photo!!! Love your take on it, too!! Beautiful inspiration and loved your take on it ! Wow--unique & gorgeous! Never would have thought to use this color combo for Christmas! REally nice use of black with this card. Oh wow! So elegant!!! I love these colors!!! Yellow,white and black are NOT my favorite color combo so I wasn't sure I would attempt this challenge...but after all, a challenge should be a challenge, right? So I came up with a card that I ended up actually loving! GORGEOUS PINspiration and card Heather!!! LOVE your inky design and colour combo - WOW!!! Such a beautiful inspirations!! Lovely colors!! What a wonderful colour combination! 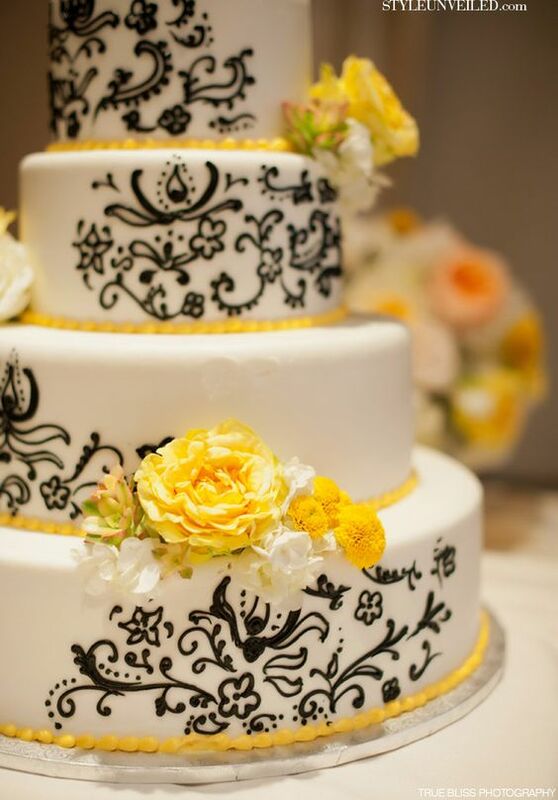 Yellow, black and white is one of my favorite color combos - hopefully I can play along. Your card is just gorgeous!! Love these lovely colours., so pretty card.